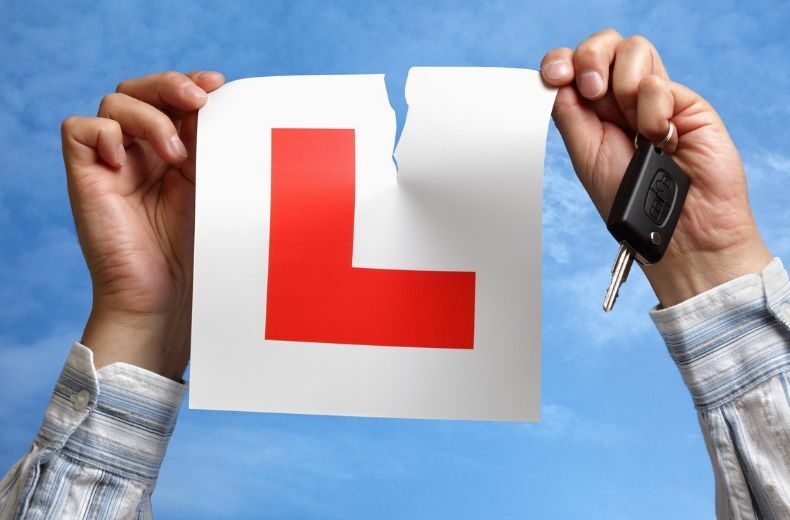 Home > Drive > Advice and guides > Learning to drive > What happens after I pass my driving test? Taking to the road without the safety net of your instructor is a big step, and it’s only natural to feel a little apprehensive. Plus there’s the minefield of car ownership to navigate – have you sorted insurance, road tax and an MOT? To help clear the confusion facing new drivers, our essential guide answers your most pressing questions. Can I drive straight away after passing my test? Yes. Your examiner will normally arrange for your provisional licence photocard to be sent off to the DVLA, where it will be upgraded to a full driving licence. Although it could take up to three weeks for you to receive your updated photocard in the post, you don’t need to wait for it to arrive before you drive. As long as your car is taxed and insured, you’re good to go. Contact the DVLA if your new licence hasn’t arrived within three weeks of passing your test. If you need to make changes to your licence – such as your address or photo – before having it updated, you’ll need to apply for a full licence yourself. Make sure you do this within two years of passing your test, otherwise you’ll have to take your test all over again – not the most thrilling of prospects. Do I need P plates after I’ve passed my test? Some new drivers choose to display green ‘probationary’ P plates on their car, but they’re not compulsory. P Plates are a way of indicating to other motorists that you’ve recently passed your test and are still getting to grips with the roads. If fellow drivers see a P on your car, they’ll (hopefully) give you a bit of breathing space at junctions and roundabouts so you don’t feel under too much pressure. You can display P plates for as long as you want. If you want to gain more confidence and experience, you could also enrol on a Pass Plus course. This gives you the opportunity to improve your skills in areas such as night driving, motorway driving and driving in different weather conditions. An added bonus is that many insurance companies will offer lower premiums to new drivers who’ve completed the Pass Plus course. If you haven’t got one already, there’s the small matter of buying a car to consider. While you might be dreaming of cruising down the motorway in a Porsche 911, at this stage it’s probably more practical and cost-effective to settle for a smaller car that falls within the lowest insurance groups and tax bands. As it’s a big purchase, you may need to borrow some cash to buy a car. The Bank of Mum and Dad may be willing to help but, if not, you might be able to arrange car finance. However, if you’re applying for credit for the first time, your credit score is likely to be low. That means you might have to pay a higher rate of interest on your loan or get a family member to act as a guarantor. Before getting your new car, make sure you can afford the insurance and factor running costs into your budget, such as fuel and maintenance costs. Should I get black box car insurance? Black box insurance, or telematics, is popular with new drivers as it can help the safest motorists get a discount on their premiums. Because newly-qualified drivers are statistically more likely to be involved in an accident than other motorists, they face eye-wateringly high insurance bills. So, having a device fitted to your vehicle can be a way to bring down those costs. The black box uses GPS technology to record your driving habits, such as braking and accelerating. It will also monitor the type of roads you travel on regularly, and the times of day you tend to drive, to build up a detailed profile of you as a driver. This data is sent back to your insurance company and fed into a computer algorithm to establish how safe you are. The better your score, the cheaper your insurance will be at renewal time. In addition to getting a black box policy, there are other ways you can bring down your insurance premium. Find out more in our guide on how to reduce the cost of insurance for new drivers. Like car insurance, road tax is also required by law to drive a car in the UK. You can tax your car online through the DVLA site and pay for it annually or monthly. Paper tax discs are no longer needed, so you won’t have to wait for one to arrive in the post before you can take your car out on the road. How much you pay for your road tax will depend on the make and model of car you buy. Vehicle tax bands are based on engine size, or fuel type and CO2 emissions. You might not have to pay any tax at all if your vehicle is among the most environmentally friendly. Under the current rules, any car emitting less than 100g/km CO2 that was registered after March 2001 and before April 2017 is in VED Band A, which is exempt from tax. To find out more about how much you pay in each category, read our guide to car tax bands. The car will also need to have a valid MOT certificate if it’s more than three years old. READ MORE: New MOT rules – how do they affect you? While passing your driving test gives you more freedom, it also comes with more responsibility. Take someone you trust with you on your first few journeys while you build up your confidence. Allow plenty of time for journeys so you won’t be tempted to speed and take unnecessary risks. If you’re driving somewhere new, plan your route in advance to get a general idea of the directions and type of roads you’ll encounter. Turn off your phone while driving so you don’t get distracted by texts and notifications when trying to concentrate on the road. Take care when driving with friends. Don’t let them coax you into taking risks as you could end up with penalty points on your licence or, even worse, cause a serious crash.